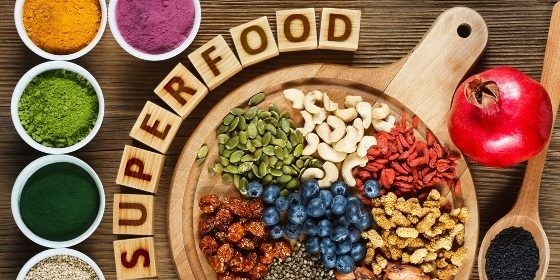 If you are a weight loss struggler then you must have heard the term ‘’super-food’’. These foods not only help you in shedding a few extra pounds of fat but provide you with a plethora of different essential nutrients. Super-foods are charismatic foods that provide you with mega doses of vitamins and minerals required for optimal functioning. 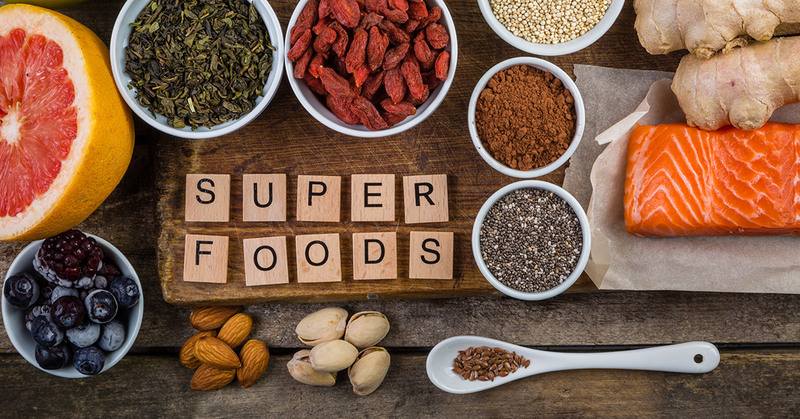 There is no defined criterion of super foods but it’s generally accepted that the foods that are nutrient dense and jam-packed with minerals and vitamins. When combined with a balanced diet and regular exercise these foods to ward off cancer, improves digestion and overall heart health. The thick creamy yogurt from which whey is strained out is Greek yogurt. It is choke full of probiotics, protein, bone-friendly calcium, potassium, and vitamin B12 which helps in improving digestion and immunity. It not only loads you with nutrients but also gives the feeling of satiety and fullness. You can’t talk about super-foods without mentioning these magic bullets. Blueberries are not only good treat for your taste buds. They provide you with soluble fiber, vitamins, phytochemicals, antioxidant, and minerals. Phytochemicals are natural cancer-fighting agents that support your immune system against carcinogens. Antioxidants fight against free radicals that can cause potential damage to your skin. Chia seeds come from a desert plant. These super seeds are loaded with healthy omega-3 carbohydrates, protein, fiber fatty acids, antioxidants, and calcium. The mild nutty flavor of chia seeds provides satisfaction your belly and taste buds both. You can easily incorporate those back and white seeds in your diet. You can sprinkle them on your cereals, add in your smoothies, or can enjoy with yogurt. These super nuts are the best source of calcium after dairy products. Almonds provide you with a massive amount of nutrients which include fiber, protein, calcium, vitamin E, manganese, and magnesium.They are loaded with antioxidants which fight free radicals lowering the risk of Alzheimer, cancer, and heart diseases. Almonds also help in lowering LDL which is bad cholesterol. The egg is considered as the super-food because it is loaded with high-quality protein, omega 3 fatty acids, and vitamin B2. They possess 9 essential amino acids, the ones our body can’t synthesize.Eggs are the good source of fat-soluble vitamins A, D, E and K, lecithin and cholesterol.